As a practitioner, Stephanie has served children and families in Part C and 619 programs as an occupational therapist and early childhood special educator for over 20 years. She has supervised graduate and undergraduate students in their student teaching experiences, taught courses in the blended initial licensure Early Childhood Unified teacher preparation program, and has worked as an early childhood special education consultant and professional development provider for school districts and agencies in the Kansas City Metropolitan area. 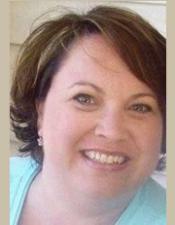 Stephanie was a scholar on an OSEP leadership preparation grant at the University of Kansas. Most recently, Stephanie worked for the Early Childhood Personnel Center with the project co-associate directors for the University of Kansas site, Drs. Horn and Lindeman, to provide technical assistance to states in developing their early childhood personnel development systems.